Dungourney whiskey was born when, in 1994, master distillery Barry Crockett found some whiskey in warehouse number 11 that was not on the company's register. Some sources say there was just one cask but given that this has been matured in ex-Bourbon barrels and the production run was more than 1200 bottles then there were more likely 3 or more barrels. 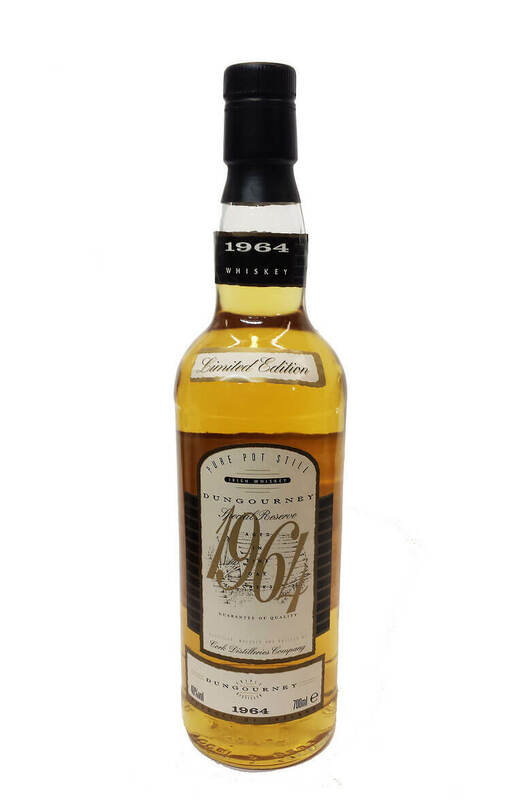 Nonetheless, it is a very rare whiskey and comes from the Old Midleton distillery which closed in the 1970s. This comes packaged with a high quality oak presentation box.